Duhaney told city council Wednesday the city has coordinated a "blitz" of outreach with human services agencies. "To connect them with social services, additional shelter beds that we know are available, and also for any kind of addiction treatment that they need," Duhaney said. 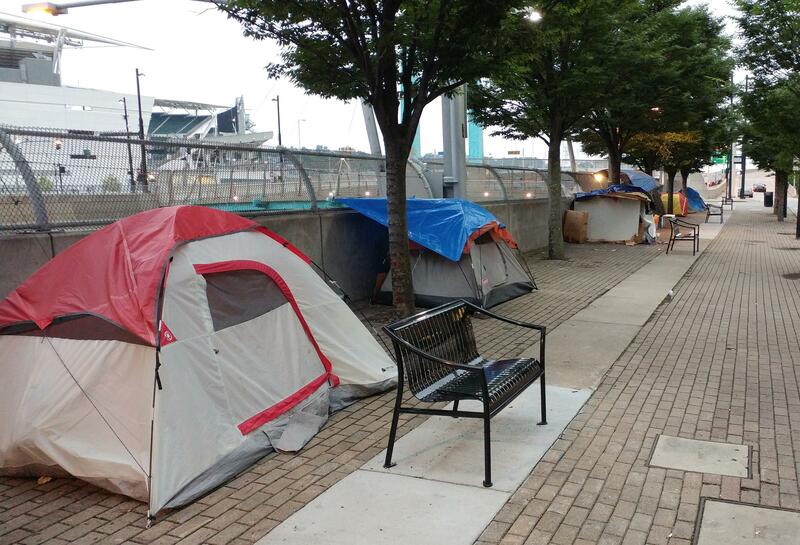 He added that next week the city will focus on the encampment located under a highway overpass near U.S. Bank Arena. Council Member Chris Seelbach said no one should have to live on the street. But when people do end up there, the city needs to show compassion, he said. 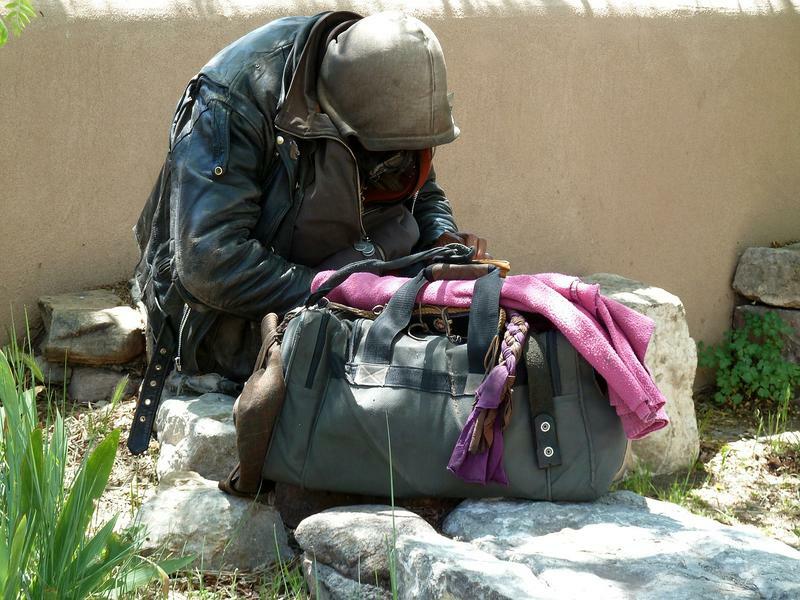 He believes that includes dealing with the belongings of those living at the camp. "I would just hope that we can direct whoever is going to cleanup the places that these people are living, act with compassion. Do tag personal items so that they can be retrieved, and do everything humanly possible to ensure they have the opportunity to get housing, to get shelter, if they want it," Seelbach said. Council Member Jeff Pastor said the city has to follow the rule of law for the campers safety and that of other residents. He said a leader at the camp told him they want to make the camp permanent and then transition people to housing or a shelter. "That just cannot happen," Paster said. "That literally breaks the rule of law. We have the services currently available for the 37 to 50 people that are down there." Council Member Tamaya Dennard told council that just because something is lawful, doesn't mean it's advantageous. She said there are a number of reasons why people don't go into shelters, and it's not the city's place to tell people what they should be doing. "We have not done anything about affordable housing in our city for decades, and this is what this looks like," Dennard said. "And we can't move people out of the way because we don't like the look of homelessness, we don't like the stench of homelessness. It can't be like that, we have to move people with a plan. And just because someone doesn't have a house, or roof over their head, doesn't mean they don't matter." Last week, the city cleared another homeless camp under a highway ramp near Paul Brown Stadium. That area was fenced off to prevent it from returning. Mayor John Cranley has said the camps threaten public health and need to be addressed. 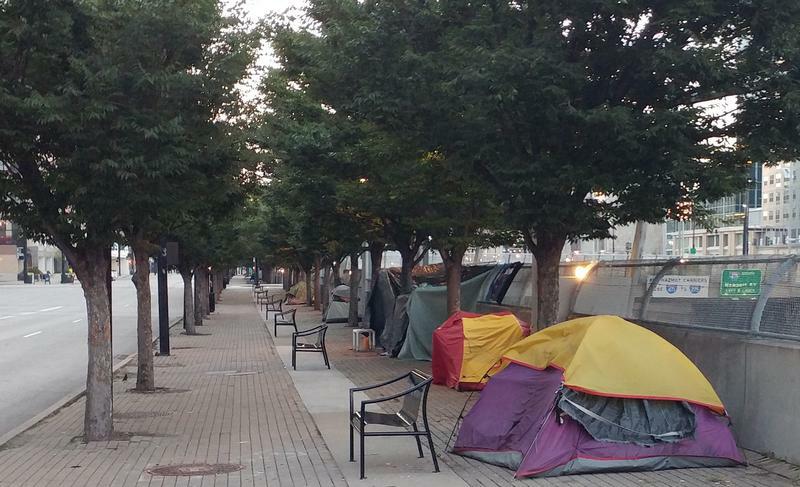 Some of the Third Street campers and their supporters have vowed not to leave the site. They issued a list of demands this week asking for public restrooms with showers, city funds for a "no-barrier" shelter, increased human services spending, and a homeless bill of rights. The city of Cincinnati last week cleared out a homeless camp near Paul Brown Stadium and reaction on social media was swift. Cincinnati officials said Monday they are looking at options for how to respond to the homeless camps that remain along Third Street and another encampment underneath a highway overpass near U.S. Bank Arena. Last week the city shutdown and cleared a camp near Paul Brown Stadium and fenced off the area so it can't return.